Our team combines complementary skills and experience in science, project management, quality assurance and business administration. Serge Braun, PharmD, PhD started his career with traineeships in France and in USC (Los Angeles). Following a first 10-year period in public institutions he joined for an additional 10 years Transgene (Strasbourg, France) where he became Vice-president Research and developed his career in the field of gene therapy of genetic diseases and of immunotherapy of cancer. He was co-founder of Neurofit, a contract research organization specialized in preclinical testings of both the central and the peripheral nervous system. He was Vice-president of Alsace BioValley, the tri-national initiative, for the development of a major biotech cluster in Europe. He joined AFM-Telethon (the French Muscular dystrophy association) in 2006. He is also scientific expert or member of the Scientific Board of different state organisms, non-profit associations, VC funds, biotechs and bioclusters, and reviewer of major journals. Serge is currently and remains CSO of AFM-Telethon. Serge was appointed as president of GenoSafe in 2013. Carole Masurier is Chief Executive Officer of GenoSafe. 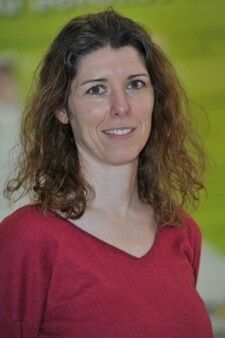 Carole Masurier has more than twenty years’ experience in research and development and Business development, in biotech as well as in academic research, where she held several managerial positions, including fifteen years in Genethon, a non-for profit organization dedicated to the development of gene therapy products for rare diseases. She obtained her Ph.D. at the Université Paris VII, France. 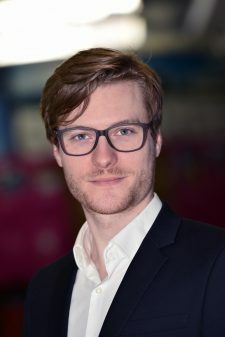 Aymeric Huguenot is a graduate of the engineer school of biotechnology ( Sup’Biotech ) of Paris and of the Paris School of Business ( ESCP-Europe ). His training focuses on oncology, immunology and genetics as well as commercial development and management. After working at INSERM and then in the pharmaceutical industry ( Roche, Eli Lilly ) at commercial positions, he joined GenoSafe at the beginning of 2017 as a proposal manager and then was promoted as Business Development Manager. Following an MSc in Neurobiology, Aurore obtained a Master in Regulatory Affairs at the Faculty of Pharmacy of Lille and a Master in Pharmaceutical Marketing at the Faculty of Pharmacy of Paris XI. She has over 8 years of experience in Regulatory Affairs. She worked 3 years in Toronto (Canada) where she obtained Certificates in Canadian and US laws and Good Manufacturing Practices (GMP) . She worked for a Biotechnology Company specialized in oncology products (antibodies coupled to a toxin) where she was responsible of Intellectual Property Department. Aurore joined Genosafe in November 2013 as Regulatory Affairs Officer. 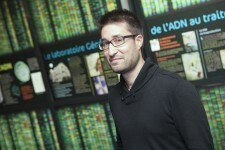 Following a Master degree in Clinical Pharmacology and Drug Metabolism at the Faculty of Pharmacy of Nancy, Jean-Brice obtained his Ph.D. in Genetic Epidemiology in 2005. He then worked as a research engineer in the field of chronic lymphocytic leukemia at the Institute of cellular and molecular radiation biology from the CEA’s Life Science Division and as a researcher and project manager in the cardiovascular domain at INSERM. He then worked for a CRO as a molecular biology group leader in charge of the development of viral safety testing. Jean-Brice joined Genosafe in 2013 as a group manager and study director. Holder of a Master degree in Pharmacology from the University of Nice Sophia-Antipolis, Laurence obtained her Ph.D. in Life and Health Sciences in 2004 at the Ecole Normale Supérieure of Cachan following her work on HIV replication. She then joined the R & D department of Genethon as a research fellow and led various projects on immune deficiencies and muscular dystrophies. Specialized in molecular biology, vectorology and gene therapy, Laurence joined Genosafe in 2014. 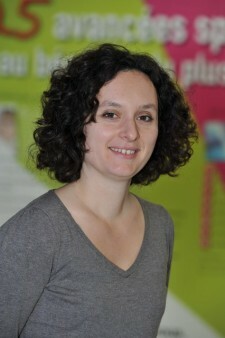 Holder of a Master’s degree in in-depth immunology from the Pasteur Institute in Paris, Sabrina obtained her Ph.D in basic immunology in 2007 at the University of Angers. During her different post-doctoral fellowships, she addressed multiple aspects of immunology: innate immune response, development of antitumor immunotherapies, and study of the immune response against gene therapy vectors during last position. 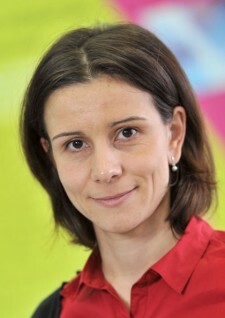 Sabrina joined GenoSafe in 2015. GenoSafe is located just south of Paris, at the Evry Genopole® – France’s leading biocluster. Our premises have been specifically designed to perform multi-regulatory compliant studies. Our facilities have been conceived to provide a large variety of services with an adequate degree of separation of the different activities to assure the proper conduct of each study. The technical areas include 6 “BSL 1” labs, 6 “BSL 2” suites and 1 “BSL 3” lab. The facilities also include dedicated zone for receipt, storage and archive. The suites and laboratories are fully equipped with state-of-the-art apparatus periodically inspected, cleaned, maintained, and calibrated according to standard operating procedures.